In Tokyo alone, rescuers responded to more than 3,000 emergency calls on Wednesday, a single-day record, preliminary data from the Tokyo Fire Department showed Thursday. The number of emergency calls broke the previous record of 2,900 set the previous day. A total of 317 people, aged between 1 and 105, were taken to hospitals in Tokyo on Wednesday. Many students participating in school activities in various areas around the country were also rushed to hospitals, but none sustained serious or life-threatening injuries. 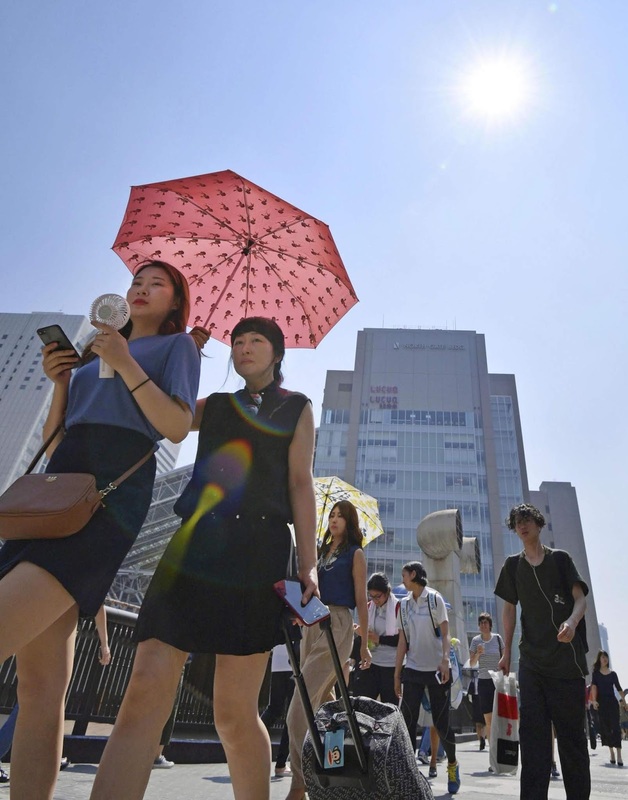 In Shimonoseki, Yamaguchi Prefecture, a number of high school students complained of symptoms of heatstroke or heat exhaustion, and eight were taken to the hospital. The Japan Meteorological Agency has warned that extremely high temperatures will continue, and urged the public to take precautions such as drinking water and controlling room temperatures.